Ahoy! NewTown v Praha, Česká republika: Zarezervujte nyní! I can recoment this hotstel is really great situated close to Václavské náměstí. I especially appreciate employess and the most Christian, who was really great guy and carry about my comfort whole day. Everything was great i will come again certainly. Zuzana Hrušková Mohu tento hotel doporučit, vše bylo vpořádku hlavně zaměstnanci jsou zde úžasní konkrétně Christian, který se o mě staral celý den. 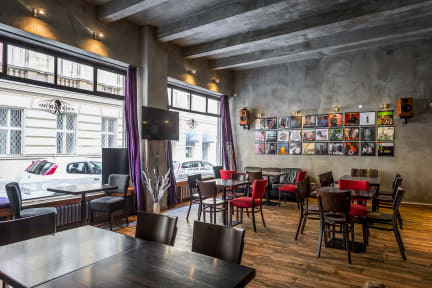 This hostel is the best choice to get maximum for a fair price in the center of Prague. The rooms are new, cozy and clean. Very helpful staff willing to help anytime. There are many restaurants, shops and spots nearby. The public transportation (tram, metro) is just behind the corner. Try it!